It is worse, much worse, than you think. The opening line from David Wallace-Wells’s Uninhabitable Earth continues: The slowness of climate change is a fairy tale, perhaps as pernicious as the one that says it isn’t happening at all, and comes to us bundled with several others in an anthology of comforting delusions: that global warming is an Arctic saga, unfolding remotely; that it is strictly a matter of sea level and coastlines, not an enveloping crisis sparing no place and leaving no life un-deformed; that it is a crisis of the “natural” world, not the human one; that those two are distinct, and that we live today somehow outside or beyond or at the very least defended against nature, not circumscribed and literally overwhelmed by it; that wealth can be a shield against the ravages of warming; that the burning of fossil fuels is the price of continued economic growth; that growth, and the technology it produces, will allow us to engineer our way out of environmental disaster; that there is any analogue to the scale or scope of this threat, in the long span of human history, that might give us confidence in staring it down.– there is a free chapter to read here, if you haven’t read it as yet! Climate Change and Consciousness. Alan Watson Featherstone’s blog thoughts ahead of Findhorn Foundation’s international conference ‘Climate Change & Consciousness: Our Legacy for the Earth. AI, Machine Learning, construction and bots A great overview from colleague Paul Wilkinson: Construction is waking up to the opportunities posed by artificial intelligence and machine learning to mine rich data and deliver powerful business insights and predictions. Using public health data to inform building practice Angela Loder & Regina Vaicekonyte on how the WELL Building Standard™ (WELL™) uses public health data and how projects can use this data to inform their project health goals. Bringing wellbeing to construction with Red List compliant, biophilic net-zero site accommodation. Blog on Chicago-based Pepper Construction who unveiled its Net Zero Jobsite Trailer in November at Greenbuild show at the end of last year. Why rewilding? – Rewild Everything! In our attempts to tame and control nature, to de-wild the natural world, we also tame, control and de-wild ourselves, and in the process lose fundamental parts of us that make being alive meaningful and enjoyable. We deny parts of ourselves that frighten and inconvenience us, ignore messages from our animal bodies as we stare at screens under artificial lights, inside concrete buildings kept at artificial temperatures to boost ‘productivity’. Free Photo Book: NASA Celebrates Earth’s Incredible Natural Beauty Earth, a free photo book from NASA features stunning imagery captured over the years by various NASA satellites. .
Free Solo Alex Honnold, now 33, has been a legend in the sport for a while, with a rack of insane firsts and nobody-will-evers hanging from his harness (except he doesn’t usually wear one of those). With a goofy grin and a bad haircut, he has been fighting a single-handed battle against gravity, and winning. When, on 3 June 2017, he free-soloed the freerider route on El Capitan, the New York Times described it as “one of the greatest athletic feats of any kind, ever”. Then the film about that climb – Free Solo – came out, and the world outside the climbing community sat up and took note. It is a brilliant, beautiful film – not just the story of an incredible physical performance, but a very human story of a remarkable, beguiling character. This entry was posted in built environment, nature, outdoors, sustainability and tagged AI, Air, Climate Change, concrete, Earth, Free Solo, Green New Deal, Health, rewilding, Uninhabitable Earth on March 3, 2019 by martin brown. With the focus on plastic avoidance, reduction and recycling, do we really know the plastics that we use everyday and incorporate into our buildings, often without second thought to their impact on human and planetary health. I am often asked by projects and offices what plastics are safe and or recyclable when looking to adopt responsible recycling or procurement approaches in reducing or removing plastics, or to address Red List compliance. Plastics are stamped with the now familiar ‘recycling’ chasing arrows triangle, encompassing an identifying number. However this does not necessarily mean the plastics are recyclable or indeed ‘safe’ to use in all circumstances. The numbers within the arrows, from 1 to 7, tell a different story, and are key to understanding specification, manufacture, use and disposal ofplastics. But as even when recycled plastics only break down into smaller components, that as ‘micro-plastics’ cause greater environmental issues, the best plastic strategy maybe to avoid. Polyethylene terephthalate, also known as PETE or PET. Usually clear in color, the vast majority of disposable disposable beverage and food containers and bottles are made of #1 plastic. Another common place you’d find #1 is in your household cleaning product containers. This plastic is relatively safe, but it is important to keep it out of the heat or it could cause carcinogens (like the flame retardant antimony trioxide) to leach into your liquids. Hence the warning on water drinking bottles to keep out of sunlight. Plus, the porous nature of its surface allows bacteria and flavor to accumulate, so avoid reusing these bottles as makeshift containers. Products made of #1 (PET) plastic can be recycled but not reused. HDPE plastic is the stiff plastic used to make milk jugs, detergent and oil bottles, toys, and some plastic bags. HDPE is the most commonly recycled plastic and is considered one of the safest forms of plastic. It is a relatively simple and cost-effective process to recycle HDPE plastic for secondary use. Products made of HDPE are reusable and recyclable. PVC is a soft, flexible plastic used to make clear plastic food wrapping, cooking oil bottles, teething rings, children’s and pets’ toys, and blister packaging for myriad consumer products. It is commonly used as the sheathing material for computer cables, and to make plastic pipes and parts for plumbing. Because PVC is relatively impervious to sunlight and weather, it is used to make window frames, garden hoses, arbors, raised beds and trellises. PVC, although tough in terms of strength, it is not considered safe for cooking or heating. PVC contains softening chemicals called phthalates that interfere with hormonal development. PVC is dubbed the “poison plastic” because it contains numerous toxins which it can leach throughout its entire life cycle. PVC’s vinyl chloride monomer building block is a known human carcinogen. Almost all products using PVC require virgin material for their construction; less than 1% of PVC material is recycled. Products made using PVC plastic are not recyclable. PVC is a widely used plastic found in piping, electrical wire sheaths, and window frames. It contains phthalates, which are also components of flexible vinyl products, sealants, and finishes. There isn’t a great alternative to PVC wire sheaths. Metal-sheathed wiring (“armored” cable) can be used, but it is harder to work with and much more expensive. There are a few alternatives to PVC pipes. Metal (copper, steel, or ductile iron) pipes, which can be used for some purposes, are heavier, susceptible to corrosion, and typically more expensive to buy and install. Cross-linked polyethylene (PEX) and other related plastics are now being used to make flexible, convenient, and cheap pipes that do not contain PVC. Unfortunately, PEX cannot be recycled and its health effects have not been definitively studied. PEX degrades with sun exposure and may be more permeable to chemicals than other types of piping. Wood, aluminum, and fiberglass are common alternatives to PVC window frames. Wood requires additional maintenance, while aluminum frames should be used with some sort of thermal break to insulate the window and prevent condensation. Prices vary, and the environmental impact of manufacturing should also be considered. Avoid vinyl flooring, cords and hoses, shower curtains, artificial leather, pool liners, or paints made with phthalates. There are many alternative plasticizers. LDPE is often found in shrink wraps, dry cleaner garment bags, squeezable bottles, and the type of plastic bags used to package bread. The plastic grocery bags used in most stores today are made using LDPE plastic. Some clothing and furniture also uses this type of plastic. Products made using LDPE plastic are reusable, but not always recyclable. PP is considered safe for reuse. Polystyrene is an inexpensive, lightweight and easily-formed plastic with a wide variety of uses. It is most often used to make disposable styrofoam drinking cups, take-out “clamshell” food containers, egg cartons, plastic picnic cutlery, foam packaging and those ubiquitous “peanut” foam chips used to fill shipping boxes to protect the contents. Polystyrene is also widely used to make rigid foam insulation and underlay sheeting for laminate flooring used in home construction. Because polystyrene is structurally weak and ultra-lightweight, it breaks up easily and is dispersed readily throughout the natural environment. Beaches all over the world have bits of polystyrene lapping at the shores, and an untold number of marine species have ingested this plastic with immeasurable consequences to their health. Polystyrene may leach styrene, a possible human carcinogen, into food products (especially when heated in a microwave). Chemicals present in polystyrene have been linked with human health and reproductive system dysfunction. Recycling is not widely available for polystyrene products. Most curbside collection services will not accept polystyrene, which is why this material accounts for about 35% of US landfill material. While the technology for recycling polystyrene is available, the market for recycling is small. Awareness among consumers has grown, however, and polystyrene is being reused more often. While it is difficult to find a recycler for PS, some businesses like Mailboxes Etc. which provide shipping services are happy to receive foam packing chips for reuse. Polystyrene should be avoided where possible. #7 plastics are not for reuse, unless they have the PLA compostable coding. This entry was posted in comment, sustainability and tagged Health, Living Building Challenge, Plastic, read list, recycling on August 13, 2018 by martin brown. Regenerative Sustainability: Co-Benefits of the Built Environment. A number of excellent reports and papers have passed through my reading list and feeds in the last week or so, that together represent a wonderful view on regenerative sustainability co-benefits. The Lancet Planetary Health , Volume 2 , Issue 3. Although the co-benefits from addressing problems related to both climate change and air pollution have been recognised, there is not much evidence comparing the mitigation costs and economic benefits of air pollution reduction for alternative approaches to meeting greenhouse gas targets. We analysed the extent to which health co-benefits would compensate the mitigation cost of achieving the targets of the Paris climate agreement (2°C and 1·5°C) under different scenarios in which the emissions abatement effort is shared between countries in accordance with three established equity criteria. Harvard University examined a subset of green-certified buildings over a 16-year period in six countries: the U.S., China, India, Brazil, Germany and Turkey. Known as HEALTHfx, the study found nearly $6 billion in combined health and climate benefits. The Healthy Buildings Team created the 9 Foundations of a Healthy Building as a standardized, holistic approach to understanding how buildings impact the people inside them. In any indoor space – offices, homes, schools, airplanes – these foundations can be assessed via Health Performance Indicators, or HPIs. Derived from the business term Key Performance Indicators, HPIs are metrics that provide insight into how a building is performing. By tracking HPIs on all 9 Foundations of the built environment, we can discover how to optimize buildings for health. We call this “Buildingomics”: the totality of factors in the built environment that influence human health, well-being and productivity of people who work in those buildings. CoBE (Cobenefits of the Built Environment) is a tool to determine the health and climate benefits related to reductions in energy use. Reducing a building’s energy consumption reduces amount of energy produced by power plants, resulting in fewer emissions of pollutants that contribute to climate change and cause premature mortality, hospitalization, and lost school or work days. Not a new document but is now being re-published in 6 instalments. From offices and schools to hospitals and hotels, the case is made for incorporating nature into the spaces we live and work. The complex and evolving language used in the sustainable design community can be very challenging, particularly to those new to environmentally friendly and resource-efficient design strategies that are needed today. This entry was posted in comment, sustainability and tagged BAMP, biophilia, Buildings as material banks, co-benefits, COBE, Doughnut Economics, green buildings, Health, Language of Sustainability, Regenerative Sustainability, sustainability, Sustainaspeak on March 15, 2018 by martin brown. UK Government 25 Year Environment Plan is … disappointing. The UK Governments 25 Year Environment Plan (A Green Future: Our 25 Year Plan to Improve the Environment) released yesterday should, on the face of it be a very significant document. Leaks and pre-issue comments from Gove in particular, hinted at great things in respect to addressing plastic, aligning health benefits of nature with healthcare and restoring nature in light of housing and infrastructure developments. Using and managing land sustainably (chapter 1). Recovering nature and enhancing the beauty of landscapes (chapter 2). 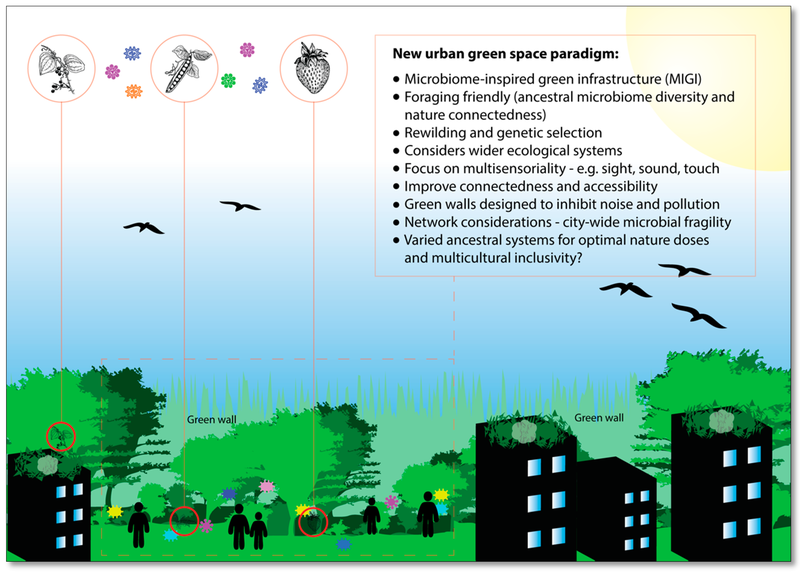 Connecting people with the environment to improve health and wellbeing (chapter 3). Increasing resource efficiency, and reducing pollution and waste (chapter 4). Securing clean, productive and biologically diverse seas and oceans (chapter 5). Protecting and improving the global environment (chapter 6). High environmental standards for all new builds. New homes will be built in a way that reduces demands for water, energy and material resources, improves flood resilience, minimises overheating and encourages walking and cycling. Resilient buildings and infrastructure will more readily adapt to a changing climate. And, to improve existing green infrastructure by encouraging more investment while making sure there is a presumption for sustainable development. However what we have is low on ambition and nothing more than a plan to plan. Each action is peppered with “consider”, “explore”, “promote”, “help” etc … and to work with others if they would care to. The fact this is a 25 year plan, in 2018, it takes us through to 2043 – firmly into the next generation that will undoubtedly be severely compromised by what we do or don’t do today. One only has to compare other initiatives with target dates within this timeframe to see how low on intent this plan is. Compare with the WorldGBC plans for zero carbon new buildings by 2030 and all buildings zero carbon by 2050, or the auto industry to move away from fossil fuels. As commented by many, there is an ‘extraordinary omission’ in the plan: there is no mention at all of fracking. Given that the only sustained solution to the environmental and climate crisis is leaving fossil fuels in the ground, the continued support for extracting yet more through fracking cannot be justified in the light of the this report. We are now acutely aware that we do not have the luxury only to explore, to consider and to just reduce impacts … that is not sustainable. We require more direct leadership, commitment and action to do more good, to restore and regenerate the environment. What we do have however, and should take action on, is further recognition that the environment and connection with nature is severely affecting the health of the planet, of ourselves and of other species. Gove is trying to secure commitment to an Environment Act in the next Queen’s speech and we should help to secure this as there is not yet full government support, but there certainly needs to be more leadership, direct action and targets in this 25 year plan. This entry was posted in BIM, comment, environment and tagged built environment, environmental impact., environmental net gain, fossil fuel, fracking, Gove, Health, land, nature, peat, sustainability, waste on January 12, 2018 by martin brown. Materials in Buildings: the impact on health of those who work, learn and play within them. Health and wellbeing issues relating to the materials we specify, purchase, build with and dispose of has been increasingly arising in discussions of late. These may be within CSR, Environmental ISO workshops or in events such as the Specifi series (recent London). Indeed it is unusual for wellbeing in relation to materials not to be on the agenda for sustainability events. In addition, within sustainability related meetings with clients, contractors and facilities management organisations, the issue of material health raises, often in reference to Grenfell, asking the question – do we really know the wider impacts on what we specifi, build with, maintain, replace or dispose of? A welcome addition to the debate is the (forthcoming) Materials Wellography from the Well Build people at IWBI. Below is an extract from their recent blog release which provides a very useful insight to the importance of materials and products we work with day in and day out. Materials WELLography; your guide to the connection between the materials and products that make up the built environment, and the effect they have on the health of those who work, learn and play within them. The quantity and variety of chemicals on the global market makes the task of tracking chemical hazards both critical and extremely difficult. An estimated 95% of chemicals, used largely in construction, lack sufficient data on human health effects.,2 Although various countries apply their own framework for the management of chemical production and use, these are not harmonized globally, so different chemicals are regulated to different extents in different countries. Finish, maintenance and renovation work often involve dust-laden contaminants, fumes, solvents and gases. This is especially problematic in the absence of the exposure and ventilation controls typically required in production or construction settings. Construction and demolition work often include exposure to large amounts of dust (made up or and carrying chemical substances), as well as solvents, and other hazardous substances, for example those associated with use of diesel-powered heavy equipment 10,20. Fortunately, improved awareness of exposure risks in maintenance, renovation and demolition has prompted additional work safety measures through various voluntary standards. Market forces at work. As evidence of the environmental hazards and health issues related to chemicals accumulates 15, an increasing number of hazard assessment tools emerge in the building material sector. These evaluation tools are being introduced and used in the marketplace as means to differentiate products and ingredients with lower hazards and to certify greener chemical ingredients in consumer products. Despite gaps in data and regulation, the good news is that we have a growing repository of tools at our disposal that can provide direction in understanding the tradeoffs of materials and products over their life cycle. Careful evaluation and selection of building materials and products is an important and effective first step to identifying safer materials across installation, use, maintenance and disposal. In the long run, the call for the prioritization and responsibility of advancing safer chemicals and sustainable materials can lead to an improved, data-rich market, comprehensive regulations and policy reforms and a shift towards safer chemicals and investment in green chemistry. Access the full IWBI article here. And download the excellent Well App for news and articles. References noted above can be found via the IWBI article. This entry was posted in comment, Health, sustainability, Well and tagged building materials, Declare, Health, IWBI, redlist, Well Build on December 13, 2017 by martin brown.